1 Preheat oven to 180 degree celsius. Boil, steam or microwave broccoli until tender. 2 Mix together Soup Mix, sour cream and milk. 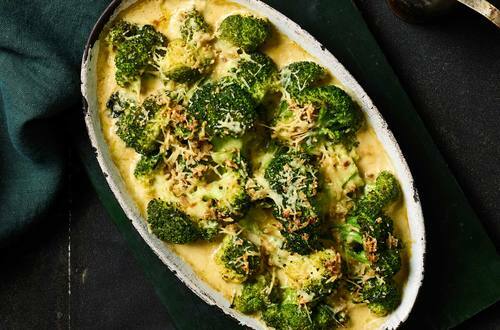 Place broccoli in a large oven proof dish and pour over sour cream mixture. 3 Sprinkle with Parmesan and paprika and bake for 10-15 minutes until golden.